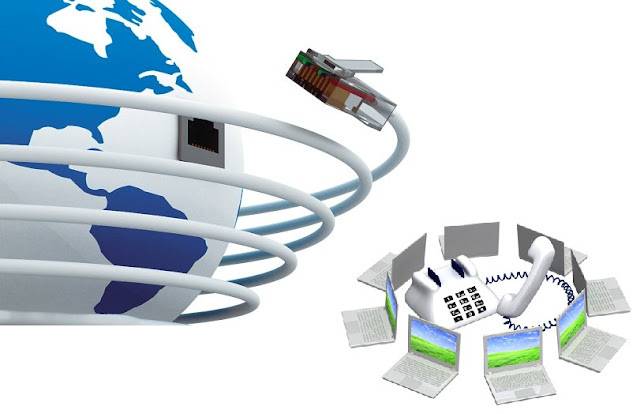 Home » VoIP » How to Choose the Right SIP Trunking Provider in USA? How to Choose the Right SIP Trunking Provider in USA? The majority of businesses investigating SIP trunking normally turn to the same resource on their hunt for SIP trunk providers – the World Wide Web. A standard search for SIP Trunking Providers in the USA will net several dozen results. With so many SIP trunk providers available, how is it possible to have faith in your ability to choose the right one - Especially if you have limited understanding of the basic lingo of the cloud computing or VoIP communications world? The following will help restore to not only educate you about the world of SIP trunking, but also restore confidence in your own ability to make the best decision for your business. The Basics: What is SIP Trunking? SIP: Session Initiation Protocol – a signalling protocol that is most often used in IP conferencing, IP telephony and IM. SIP Trunking: Cloud communications service that connects a Private Branch Exchange (PBX) to the web in order to deliver low cost communications services. SIP trunk channels are aimed at replacing conventional phone channels. The questions remains, how exactly will SIP trunking benefit your business? The answer is simple: Cost Savings! SIP trunking reduces expenses by removing long distance calling charges, without having to replace an existing system or PBX or sacrificing quality. What should you look for in a potential SIP trunking solutions provider? Businesses depend on access to reliable and efficient communications services, any downtime at all can spell missed opportunities – or worse. Many SIP providers promise 99% uptime, however, not all of them can deliver on those claims. Certain SIP solutions providers elect to purchase connections and routes from substandard carriers instead of creating relationships with tier 1 providers. This means that should failure or network outage occur, it may take longer to determine the root of the problem – if it gets fixed at all. Natural disasters and outages do occur. This is why it is important to partner with a SIP trunk provider that is capable of offering fully redundant call routing and failover, this way if disaster does strike preventative measures will be taken to ensure that your business communications continue. Scalability means that the service selected should be able to easily grow with your company – not against is. An experienced SIP trunking solutions provider will be able to quickly and easily increase or decrease the number of lines (or channels) as business needs change. Most high quality providers can do so in as little as 24-hours. Keep in mind that adding more than a few lines may mean having to make a call into your ISP to ensure that you have adequate bandwidth to support the growth, otherwise quality may suffer.